Sturtevant, WI (04/06/16) – Topper Industrial, leader in the material handling equipment industry, has been an advocate of lean manufacturing principles for years. Recently the ergonomic industrial cart leader moved beyond kaizen events and ad hoc lean manufacturing events and created a comprehensive continuous process improvement program, implementing lean manufacturing within the entire company operation. 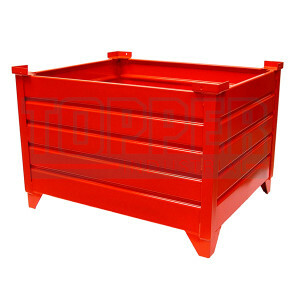 An example of the program at Topper Industrial is a case study regarding a container project. A customer placed an order for thousands of containers and required delivery within four months of issuing the purchase order. Initial thoughts based on historical data suggested that Topper Industrial would require two shifts, eighteen welders, and two hours of labor per container. After implementing an aggressive lean processes and several time studies, Topper Industrial was able to meet the customer’s requirements using only one shift, nine welders, and forty-eight minutes of labor per container. Lean manufacturing is making it possible for Topper Industrial to exceed customers’ needs more efficiently and effectively while maintaining higher margins of productivity, throughput, and profitability.